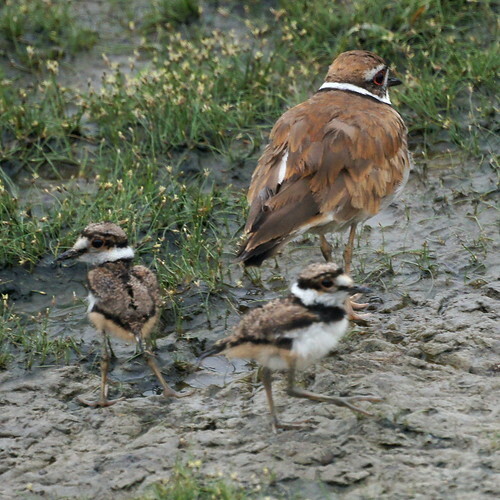 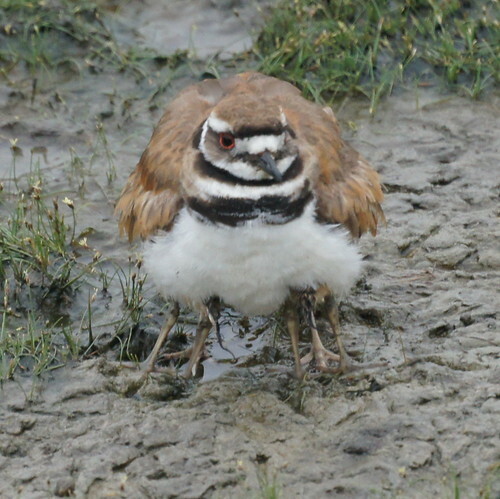 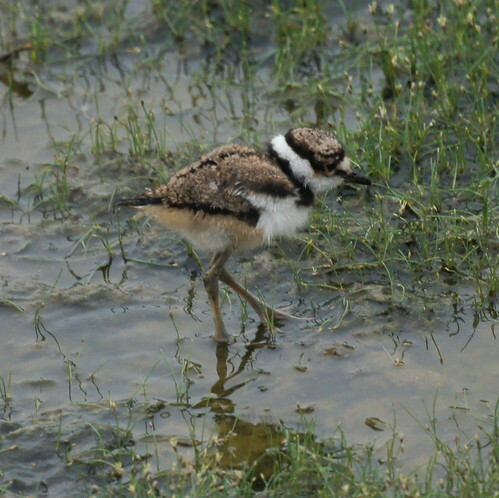 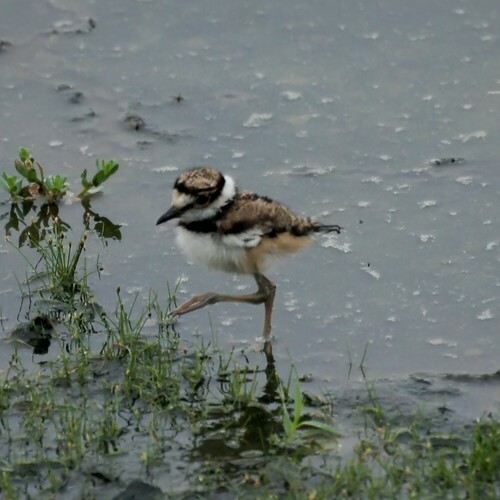 Chris spotted a mother and two baby killdeer in a pond at San Joaquin Wildlife Sanctuary. 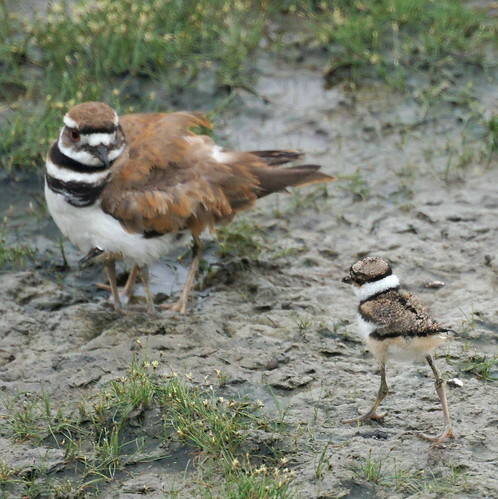 The babies hid under the mother for a while and then came out. 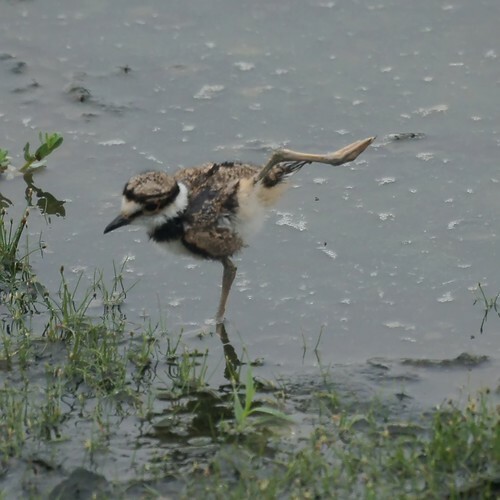 One of the babies walked in a comical way that only babies can.